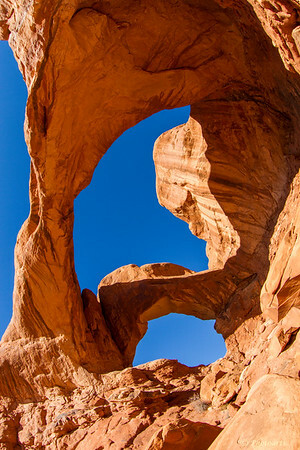 This unique formation in Utah's Arches National park is due to water erosion from the top, somewhat different than many of the featured arches in that area. This angle exposes the intricate underbelly of the massive arches so beautifully formed over several millennia. Beautiful sculpture by Mother Nature!